Pyromorphite is a member of the apatite family of minerals. Faceted stones are very rare and its colors are usually brown, green, orange, yellow, colorless, gray and white. 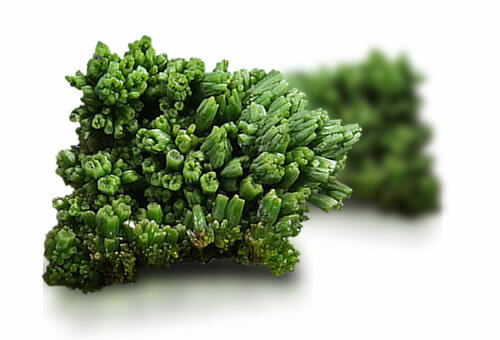 Pyromorphite was named in 1813 from the Greek words for "fire" and "form" because, after being melted, the mineral will take on a crystalline shape upon cooling. OTL RI, appearance and cleavage.